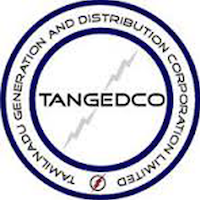 Tamil Nadu Generation and Distribution Corporation Limited (TANGEDCO) invites hardcopy of applications / Resume for Management / Industrial Trainees post.Interested Candidates with Good Academic report, good communication skills and working knowledge on computer can apply for this post. Tamil Nadu Electricity Board (TNEB) was formed on July 1, 1957 under section 54 of the Electricity (Supply) Act 1948 in the State of Tamil Nadu as a vertically integrated utility responsible for power generation, transmission and distribution. The electricity network has since been extended to all villages and towns throughout the State. TNEB was restructured on 1.11.2010 into TNEB Limited; Tamil Nadu Generation and Distribution Corporation Limited (TANGEDCO); and Tamil Nadu Transmission Corporation Limited (TANTRANSCO). Pay Scale : Stipend Rs.12,000/- p.m.
Educational Qualification : CA/CMA inter qualified .